My goal is to get the athlete to the finish line, injury free and with a smile. I will provide a training plan specific to your "A" race. I will be a coach, sometimes a cheerleader but I will also provide tough love if you are not getting the work in. Remember, you have to do this for YOU! No one else. If you are looking for a coach with NO BS, contact me. 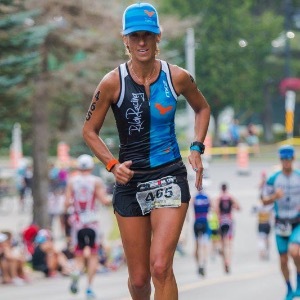 Jen Rulon is a USA Triathlon Level 1 Coach of 16+ years and owner of JenRulon.com. She received her Masters in Kinesiology with an emphasis in Exercise Science. You can find her knowledge shared in Triathlete Magazine, Runners World, on the TEDx Stage, the Health and Wellness Expo in San Antonio, TX, Men's Journal Online, and the New York Times. Jen also practices what she preaches--she's a 14x Ironman Triathlete who participated in the World Championship in Kona, Hawaii on October 14, 2017. Success. Coach Jennifer Fritzsching-Rulon has been notified of your message.